Hunting Camp Orange Camo Danbanna Deluxe | BUDK.com - Knives & Swords At The Lowest Prices! The Danbanna Deluxe features premium artwork on quality, 100% cotton, which gives you maximum comfort when wearing it. 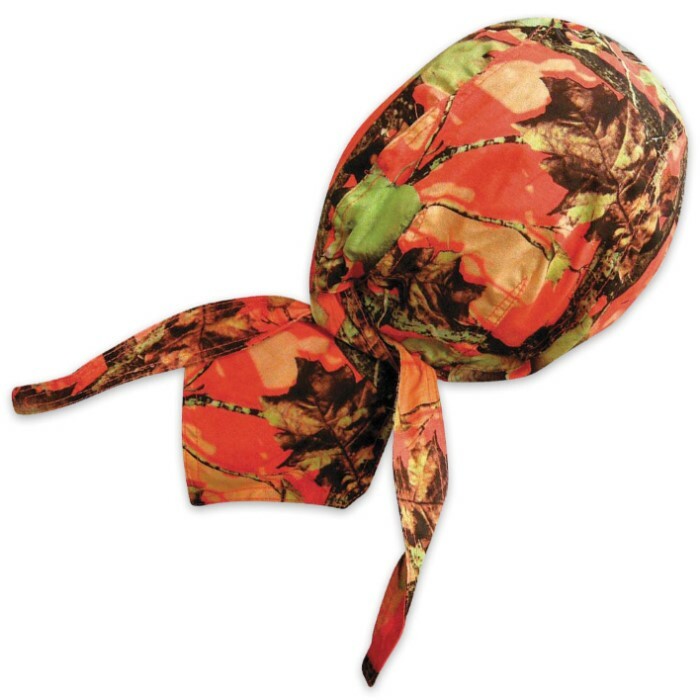 The colors are absolutely vibrant on the Hunting Camp Orange Camo, featuring a woodland pattern. The Danbanna has double-sided ties and tail and also an ultra-soft terrycloth sweatband.